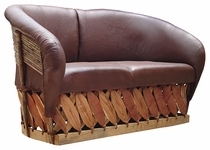 This equipale leather furniture, crafted from tanned cowhide and Mexican cedar strips, is stylish, comfortable and durable. 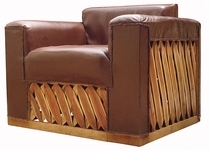 They are made using quality cow leather instead of the traditional pigskin that is most often used in equipale furniture. 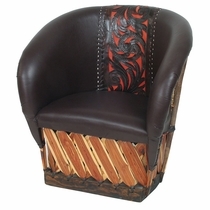 Our equipale cowhide leather furniture can be used inside or on your patio to create an authentic southwest atmosphere for your home. 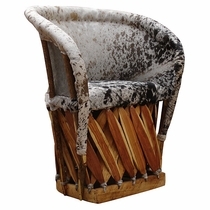 Each piece of furniture in our cowhide equipale section is a unique creation, expect some variations in color and size. 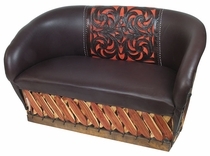 All of our Mexican furniture is handcrafted in Mexico.